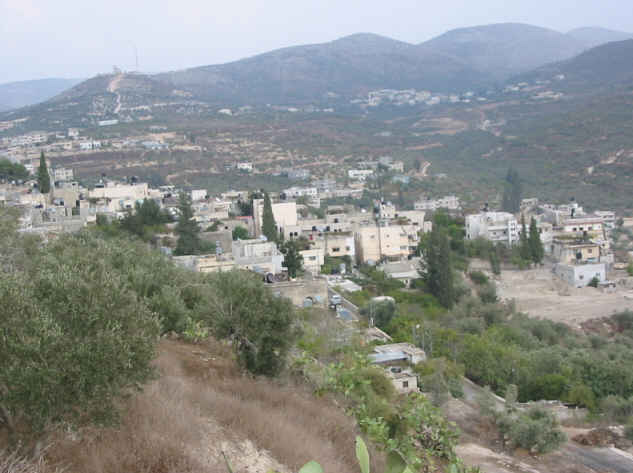 Samaria – Shomron is both a historical region and also the capital of the Kingdom of Israel. 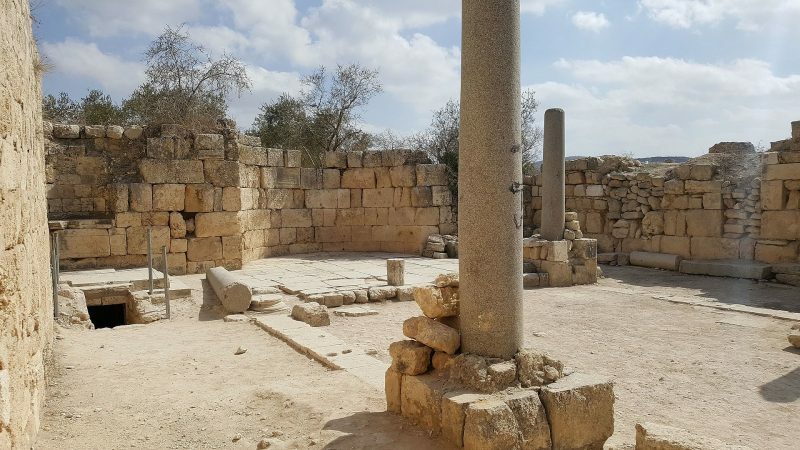 The ruins comprise remains of six successive cultures dating back more than 10,000 years: Canaanite, Israelite, Hellenistic, Herodian, Romanand Byzantine. Samaria (שֹׁמְרוֹן‎ – السامرة‎ – Jibāl Nāblus – Shomron) is a historical and biblical name used for the central region of ancient Land of Israel. Ancient Shechem (near modern Nāblus), in the centre of Samaria, served as the crossroads and political centre of the region. The region of Samaria was assigned to the house of Joseph, that is, to the tribe of Ephraim and to half of the tribe of Manasseh. 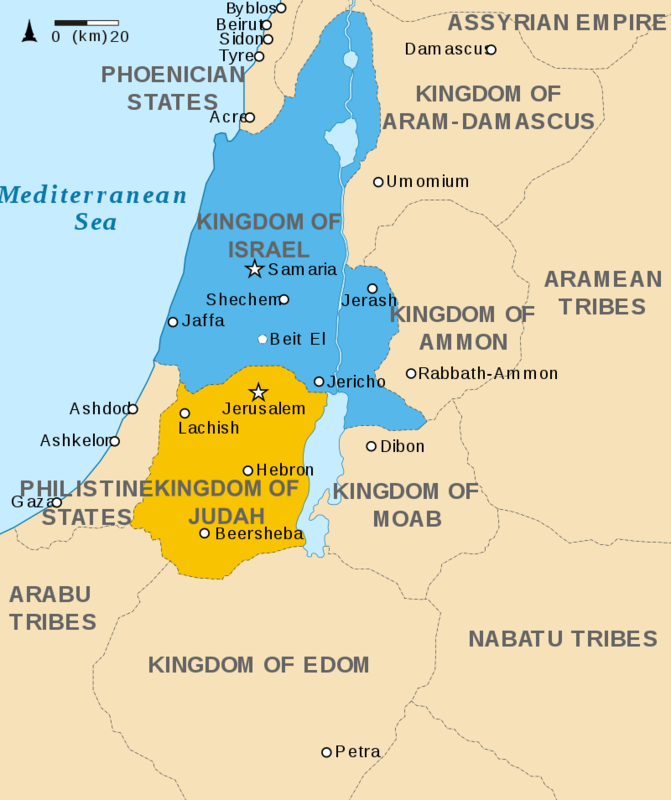 After the death of King Solomon (10th century), the northern tribes, including those of Samaria, separated from the southern tribes and established the separate kingdom of Israel. Its capital first was at Tirzah and then, from the time of Omri , it was moved to the city of Samaria -a few miles northwest of Shechem – Nablus. The Kingdom of Israel joined the forces against Shalmaneser III in the Battle of Qarqar (Apamea). 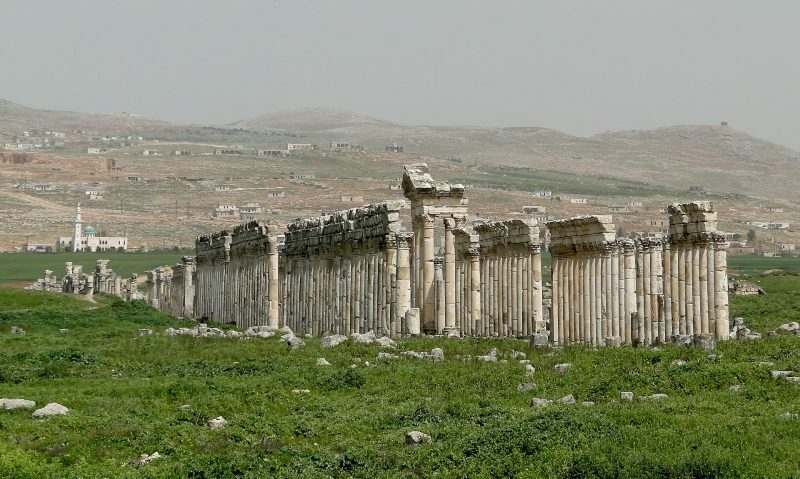 Here is a photo of the ruins of Apamea. The Battle of Qarqar was perhaps at Apamea, where Shalmaneser III of Assyria fought a great confederation of princes from Cilicia, Northern Syria, Israel, Ammon, and the tribes of the Syrian desert (853 BC). The Assyrian king claimed a victory. During the reign of the last king of the Kingdom of Israel, Hoshea, the Assyrians invaded in 722/721 BC, (initially under Shalmaneser V and finally under Sargon II) when they conquered the capital city and the last remainder of the northern kingdom. “Samaria” is first documented to represent the Kingdom of Israel after the conquest by Sargon II of Assyria, who turned the kingdom into the province of Samerina after its Aramaic name, Shamerayin. However Samaria probably long before alternatively designated Israel when Samaria became the capital. Samaria (שומרון‬, Σαμάρεια, السامرة‎, as-Samira), an ancient city in the Land of Israel, was the second capital of the northern Kingdom of Israel in the 9th and 8th centuries BC. Omri, the king of the northern kingdom of Israel (reigned c. 870s BCE), purchased this hill from Shemer for two talents of silver, and built on its broad summit the city which he named “Shomron”, i.e., Samaria, as the new capital of his kingdom instead of Tirzah. 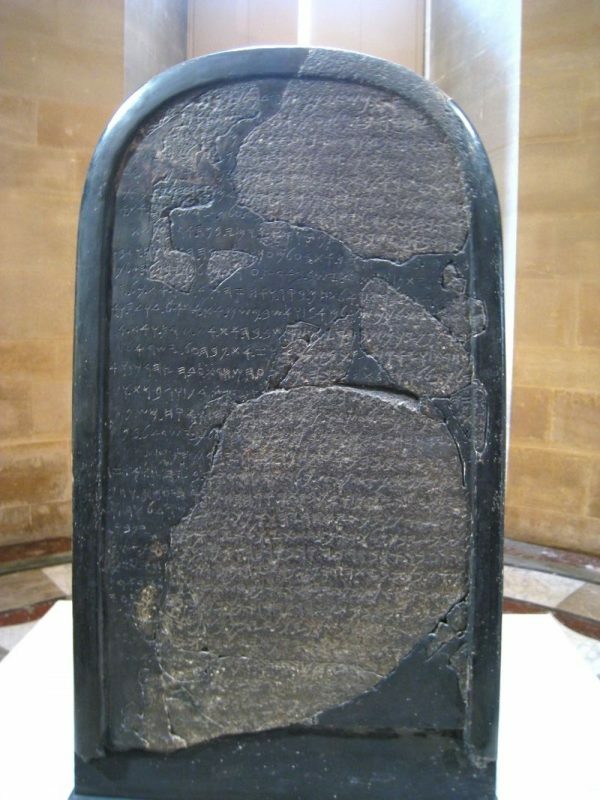 The Moabite Mesha stele (on display in the Louvre) indicates that Omri expanded his holdings to include northern Moab east of the Jordan River. It makes reference to the oppression of Moab by “Omri King of Israel”. Mesha Stele: stele of Mesha, king of Moab, recording his victories against the Kingdom of Israel. Basalt, ca. 800 BCE. From Dhiban, now in Jordan. Shomron literally means “watch-tower”. 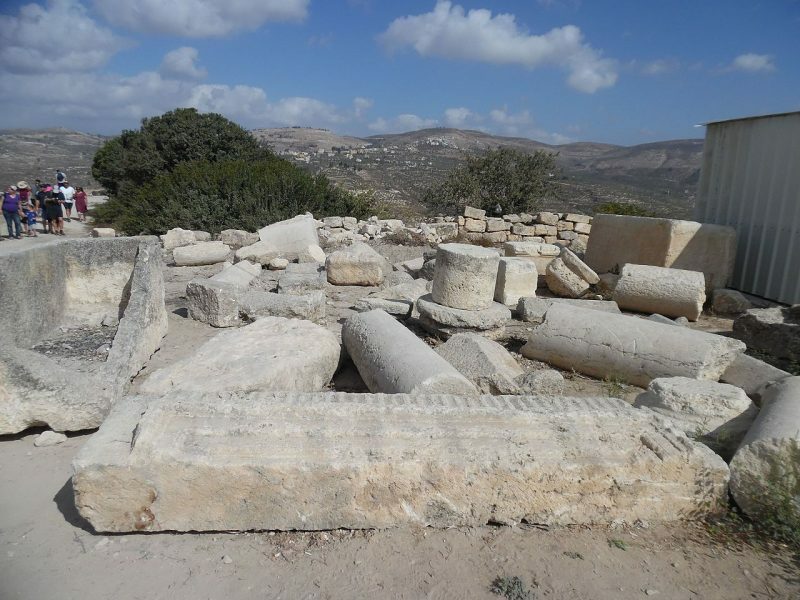 The ruins of the Israelite town are adjacent or within the modern Palestinian village of Sebastia. The ruins comprise remains of six successive cultures dating back more than 10,000 years: Canaanite, Israelite, Hellenistic, Herodian, Romanand Byzantine. The city was destroyed by Alexander the Great in 331 BCE, and was destroyed again by John Hyrcanus in 108 BCE. Beginning in 113 BCE, John Hyrcanus (יוחנן הוּרקנוס הראשון) began an extensive military campaign against Samaria. Although the siege lasted for a long, difficult year, Hyrcanus was unwilling to give up. Ultimately, Samaria was overrun and totally destroyed 107 BCE . John Hyrcanus I (Yehohanan). 135-104 BCE. Æ Prutah (13mm, 2.02 gm, 12h). “Yehohanan the High Priest and the Council of the Jews” (in Hebrew) in five lines within wreath / Double cornucopiae adorned with ribbons; pomegranate between horns; small A to lower left. The French explorer Victor Guérin visited the village in 1870 and found it to have less than a thousand inhabitants. 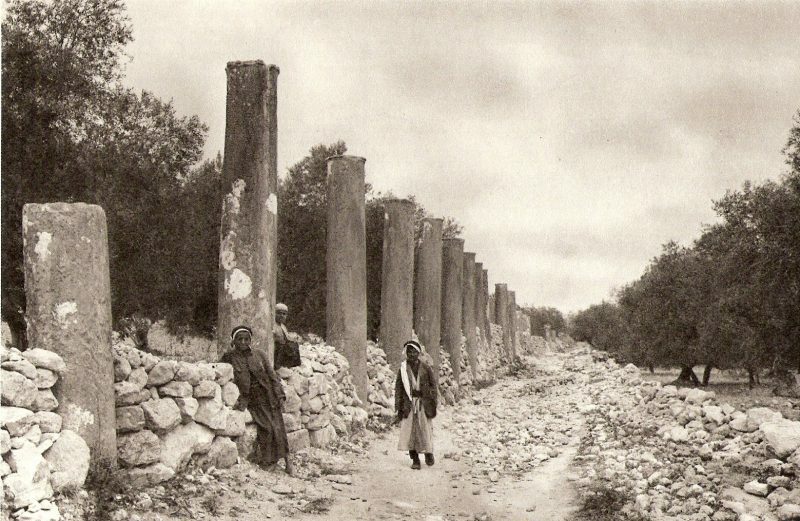 In 1882, the Palestine Exploration Fund’s Survey of Western Palestine described Sebastia as “A large and flourishing village, of stone and mud houses, on the hill of the ancient Samaria. In modern-day Sebastia, the village’s main mosque, known as the Nabi Yahya Mosque, stands within the remains of a Crusader cathedral that is believed to be built upon the tombs of the prophets Elisha, Obediah and John the Baptist beside the public square. Samaria has been associated with John the Baptist, whose body was believed to be buried there. Roman Emperor Julian the Apostate and who was based in Antioch, ordered the destruction of the tomb of John the Baptist and the cremation of his body. A small basilica church was founded in the 5th century CE on the southern slope of the acropolis. The church was believed to be the burial place of the head of John the Baptist. In the 12th century AD, a Latin cathedral dedicated to John the Baptist was built east of the Roman forum. It later became the Sebastia village mosque, the Nabi Yahya Mosque (“mosque of the Prophet John”). 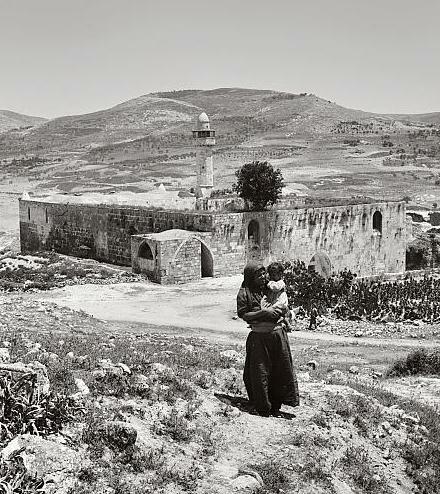 Nabi Yahya Mosque, the main mosque in the village of Sebastiya, near Nablus c._1920. 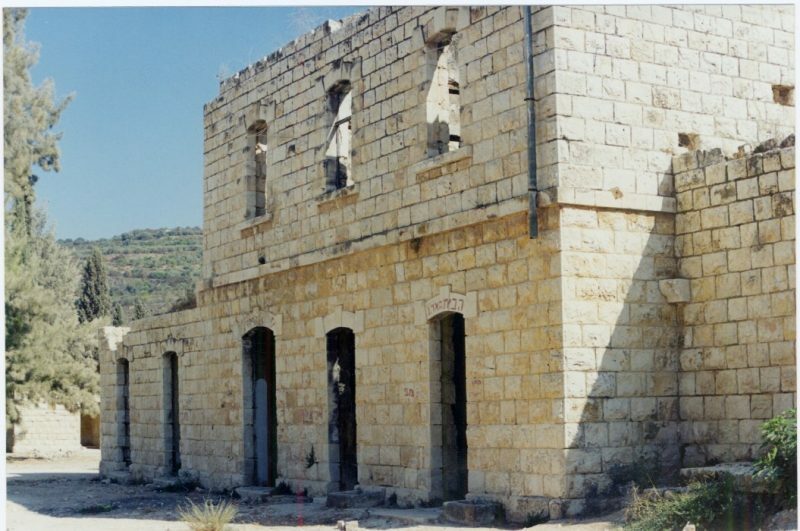 In late 1976, Israeli settlers of Gush Emunim, attempted to establish a settlement at the Ottoman train station Masoudia near Sebastia. The Israeli government did not approve and the group that was removed from the site would later found the settlement of Elon Moreh adjacent to Nablus/Shechem.